Do you have any memories like this one? Back 30 years ago as a young professional recruiter making about $45,000 a year in San Diego, I remember being able to afford occasional pampering; an expensive haircut, a massage or a training session at the gym. I wore nice, if not expensive clothing and had enough for the omnipresent bar bill of every twenty some-thing. Twenty years later, even making considerably more money, even as part of a two-income couple these services seemed a little more pricey in relation to my income. Today, thirty years later, I am loathe to pay the upwards to $200 for that salon appointment or the $80 charged by personal trainers at my health club in Denver. Costs have gone up more than wages. Eliminating these small luxuries is one of the insidious little ways these cold statistics manifest in our lives. The luxury of personal services are weightier decisions than they used to be for a "middle income" earner in the U.S. There is some debate on how much you need to make to be classified as middle-class anymore. If defined by a home, healthcare, a car and being able to afford educating your children, which used to be the accepted standard used by sociologists, the calculation is you'd need to be making around $130,000 in most mid-sized and larger cities. I remember my first six months in Mazatlán when I was sharing a house and my housemate informed me that her masseuse was coming over that day. She asked if I wanted to join her and a friend of her’s for a massage and a glass of wine. The cost: $30. Private Spanish tutor 500 pesos ($25) - I need work on compound verbs in a way that only a tutor can provide. My tutor is an attorney and comes to my home. If you are willing to travel to a language center, you might pay as little as 350 pesos. Not surprisingly, the ambiance in a spa in Mexico may not be quite up to the level of elegance that you may be used to in some North American spas, although still attractive. I will happily give up a little window dressing not to have to pumice my own feet every time. Every year in March, I return to Denver to meet with my accountant and file taxes. Since I arrive in March, I usually hope to do some spring skiing. To prepare one year, while still in Mexico I hired a trainer, Juan Carlos, from my gym for 400 pesos and requested that he put together a special work-out for skiing. Of course you don’t really need Spanish to hire a personal trainer as everything is demonstrated. Some people say that in many ways Mexico is like America was in the fifties. Trainers in Mexican gyms still look like they did in the U.S. years ago too. That is to say "cut". They have a different system of working with their clients too. Rather than staying with you the whole hour like personal trainers in the U.S, they move from client to client. I love this. No one needs a trainer watching them do every set, do they? Their movement throughout the gym creates a motivating energy that everyone feels a part of, whether they were working with a trainer or not. The most surprising element in my gym was the number of women training there. In all my years of working out, I had never seen so many women in a single gym doing serious weight-training. On some days, they outnumbered men by 2:1, regardless of the heat. I guess they heard about Supreme Court Justice Ruth Bader Ginsburg's weight work-out before even I did. Whether it’s a personal training session or consultation on homeopathy, with a little Spanish and some networking, you can find competent Mexicans in practically any personal service profession. People who can help you live like it’s 1985. Related links: The newpaper Mother Jones has been doing some good work these days, like this piece that includes 12 charts on how overworked Americans are compared to to the past. Most recent: Where would you be right now had you not pushed the outer limit of your comfort zone? 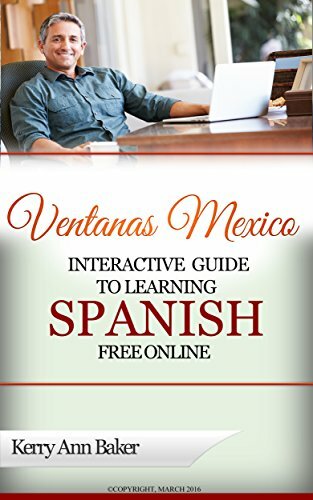 Kerry Baker is a partner with Ventanas Mexico and author of the "Interactive Guide to Learning Spanish Free Online." Spend a little time on the web and you will read how important it is to get started learning Spanish before you go. The Interactive Guide was written specifically for adults thinking about retiring to Spanish-speaking countries. Interactive links take you to the best free tools on the web. Create your own lesson plans or use the ones included in the book. Study from your laptop, e-reader or tablet, like the Amazon Fire. Don't be an expat who doesn't speak Spanish! Get started today. 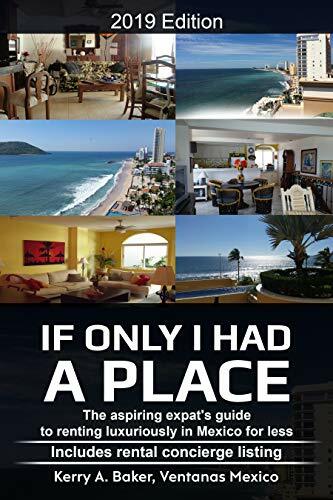 "If Only I Had a Place" tells you how to rent in Mexico. Renting in Mexico has pros and cons for the expat. Avoid the pitfalls and avail yourself of the advantages you have as described in this book. Learn a system to rent luxuriously for less. The book also includes a listing of rental concierges to help you preview prospective apartments and homes before you arrive. An absolute must.